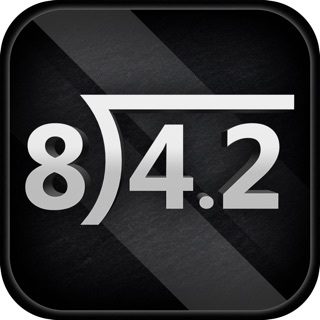 An intuitive interface and well-paced lesson plan make this app a fantastic alternative to traditional pencil-and-paper math. 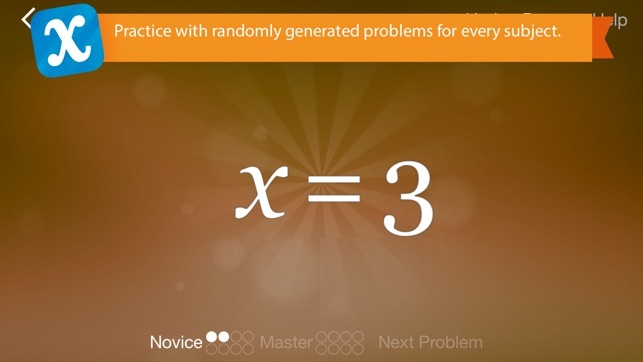 Sliding factors from one side of an equation to another will keep students actively engaged in each problem, and because it’s impossible to break the rules of algebra, they can freely experiment until they find a solution. 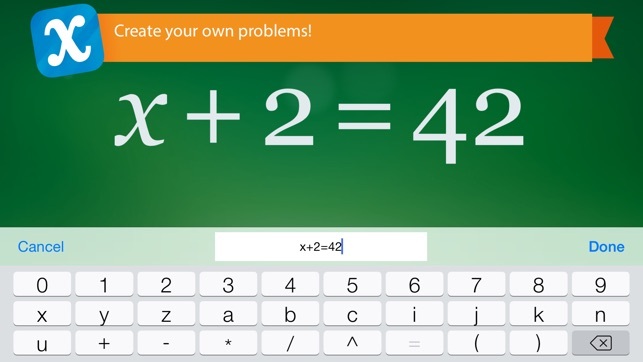 Plus, a handy build-your-own-equation tool lets students tackle assigned problems—or create clever ones for classmates to solve. 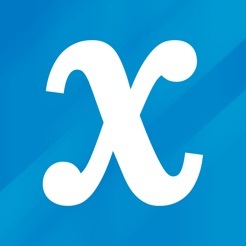 Amazing Algebra App that reviews key principles!! 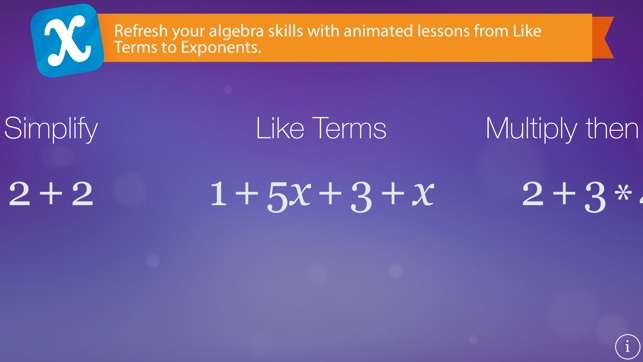 After going back to school after many years, I needed to review some key concepts in Algebra, this is an excellent resource (totally free with zero ad’s) to help teach/remind of important concepts. Some of the basic principles are easy to get mixed up, and yes this won’t allow you to fail, if you keep trying to do the wrong thing, you learn why it didn’t work. I love the undo feature because you can go backwards to review how you got there. I hope the app developer continues on with Algebra 2, Trig, Pre Calculus (including functions) etc. if the developer can’t get a grant to develop the next levels, they are worth paying for! I had issues deciding how many stars. Design wise, it’s simple and gorgeous. It isn’t overcomplicated for the user. Leveraged touch screen beautifully. It’s just too basic to have Algebra in the title. It does what it does well. But it’s just equation manipulation. It’s incredibly important to have this down, and can help you learn what all the terms actually mean in practice. But that’s chapter 1 of Algebra. After that you hit inequalities and four million notations and graphing and understand functions and the app is done. 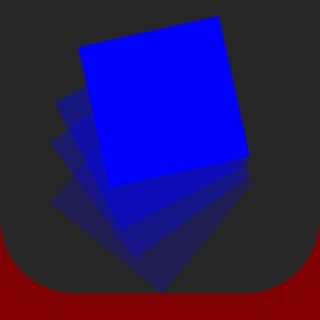 If you are having issues simpflyibg equations, don’t understand “gemdas” or “pemdas” than this is a good app. But you quickly will move past this in algebra.